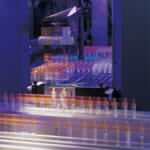 Every day new product innovations and developments are taking place around the globe. As these products are being readied to go to market, the challenge to manufacture them with efficiency and quality rests on people like you - the design and manufacturing engineer. Cyabond® knows the commercial and technical demands of your marketplace and is ready to help you respond by developing custom adhesive formulations specific to your application. Our process engineers and sales engineers will evaluate your specific application and show you how Cyabond® adhesives and dispensing equipment can speed assembly time, increase production yields, and improve assembly quality. This isn't just theory at Cyabond® . We're ready to show you a cost-benefit analysis and model how Cyabond® adhesives and systems will ensure your manufacturing productivity objectives - and your customers' product quality expectations. 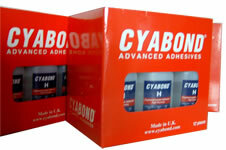 So, whether you're bonding structural panels in aerospace, or sealing the core of professional golf balls; specify Cyabond® adhesives, systems, and support. It's the right solution.